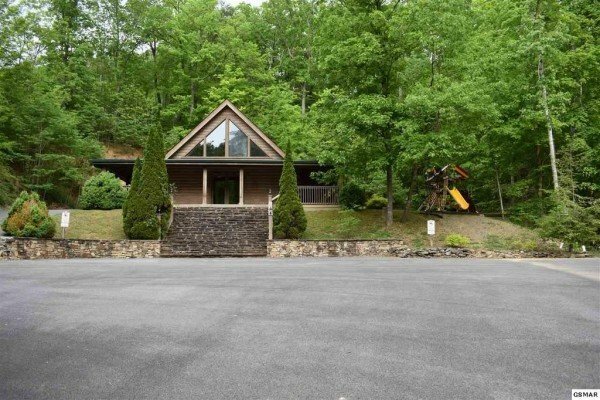 You'll want to bring more than just hiking boots for a vacation at this fun mountain lake cabin! 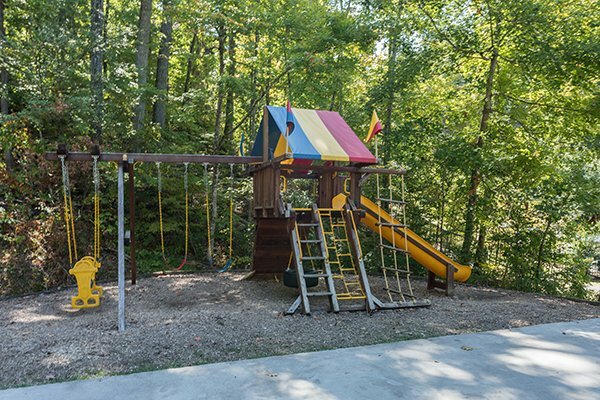 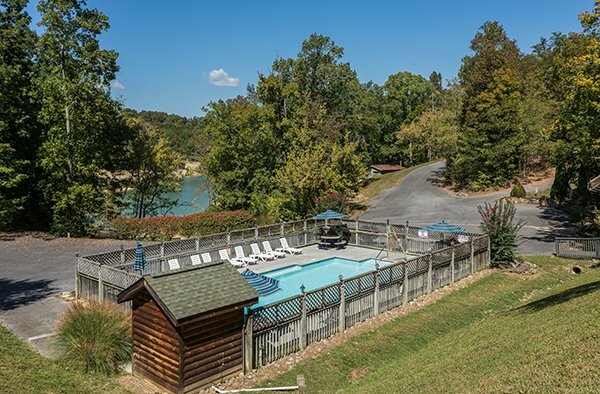 Grab the fishing poles, kayaks, swimsuits, or load up the boat - you'll want to bring all the toys for your SKYLINE RETREAT getaway. 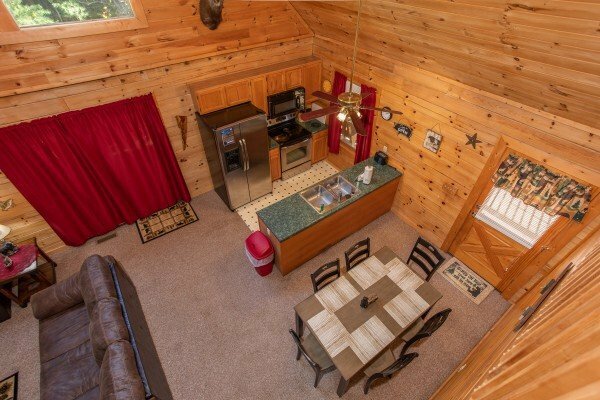 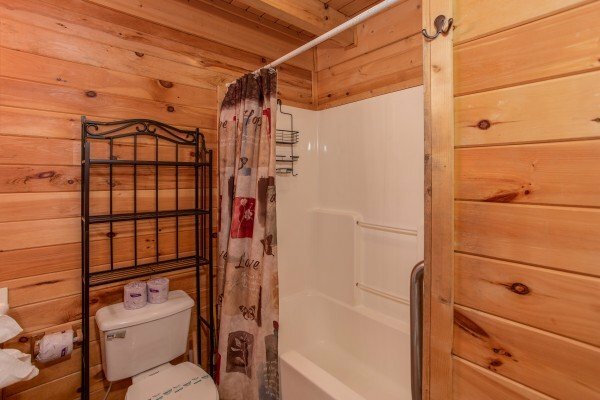 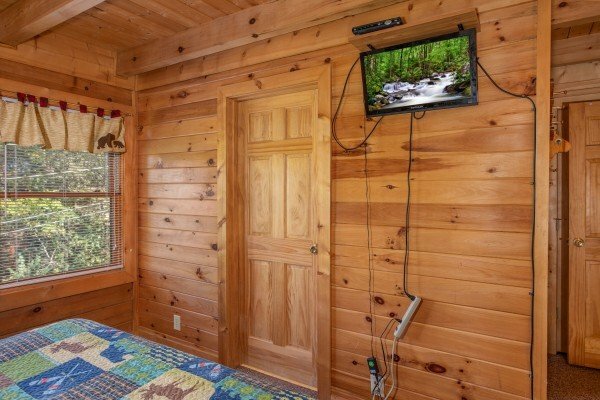 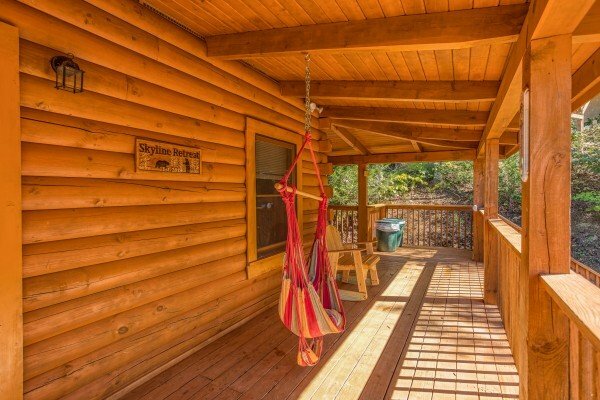 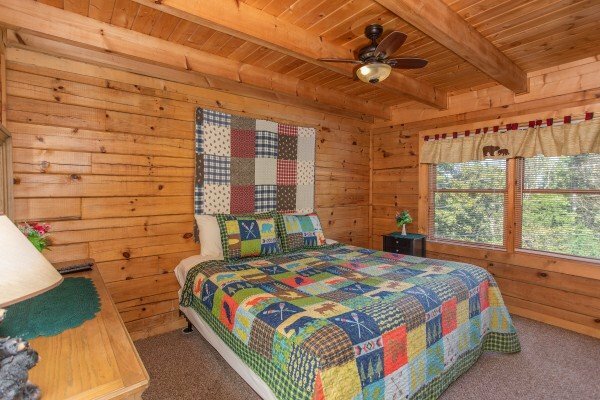 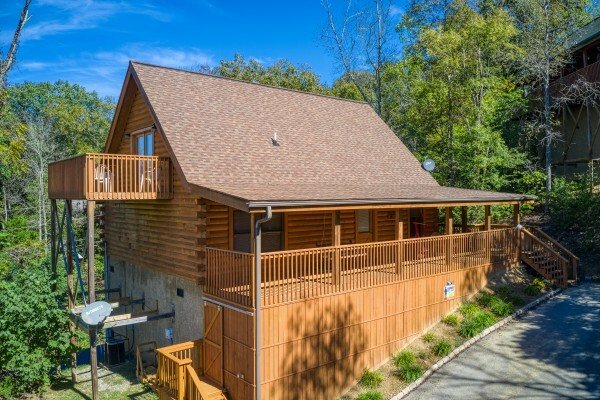 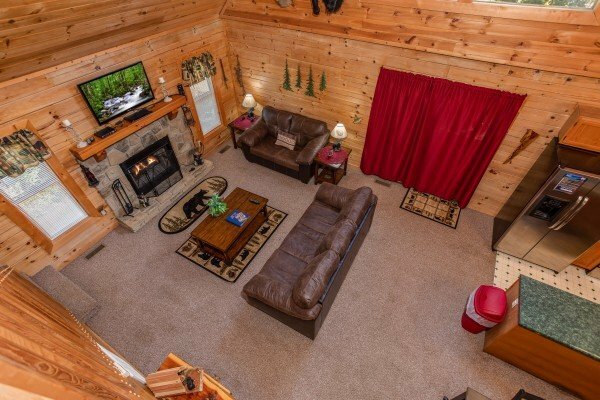 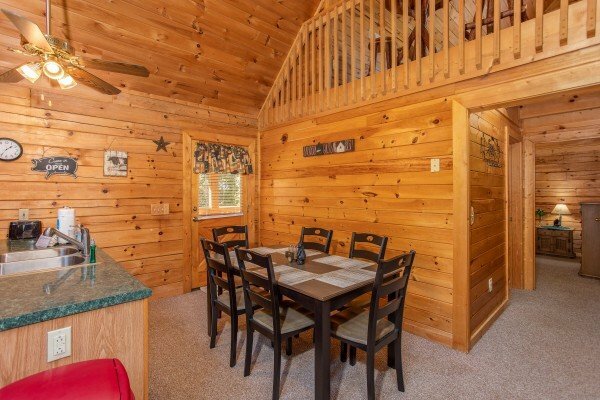 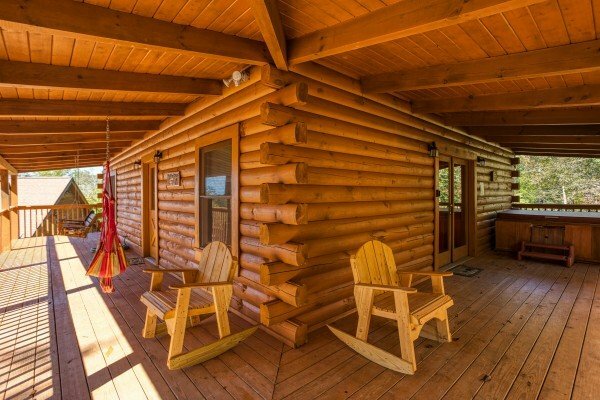 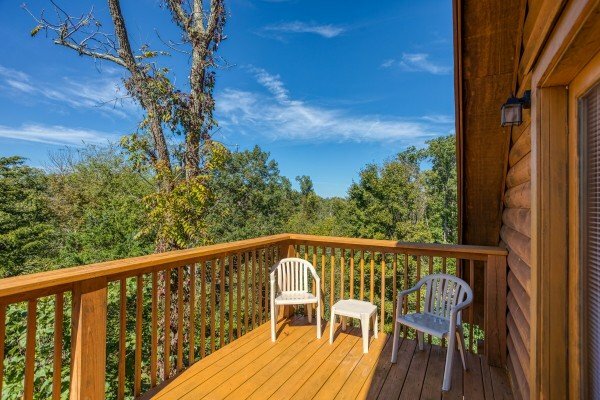 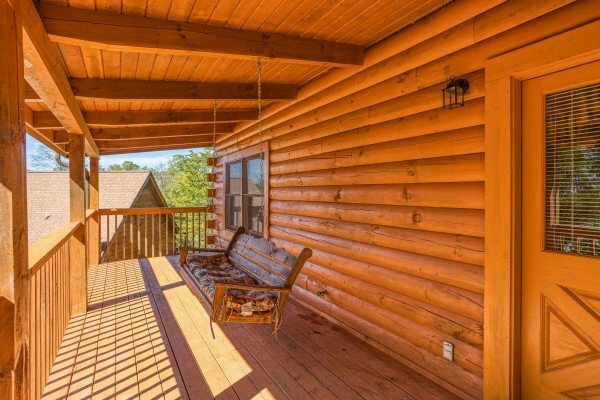 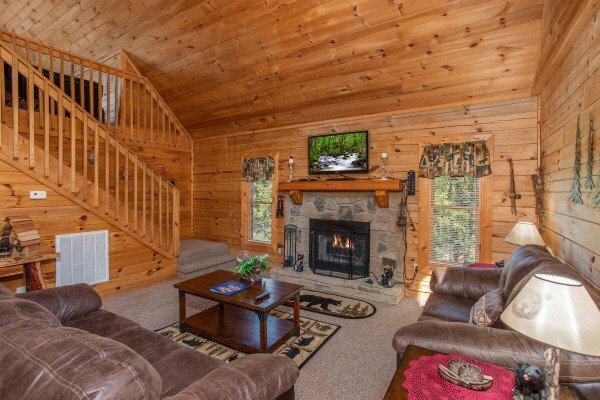 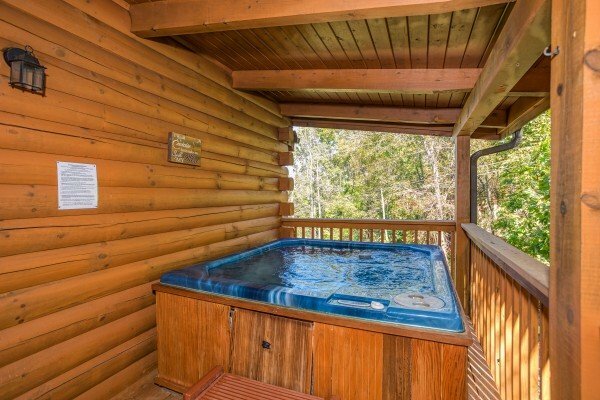 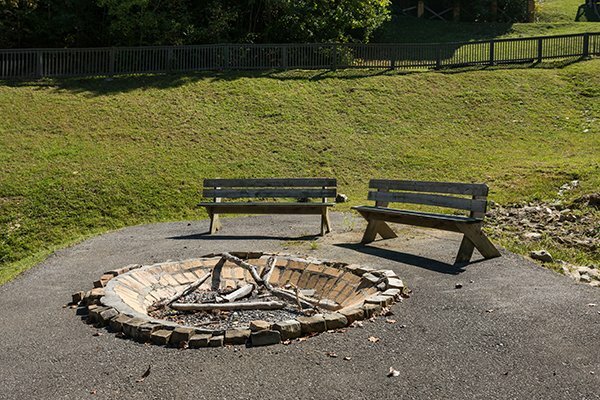 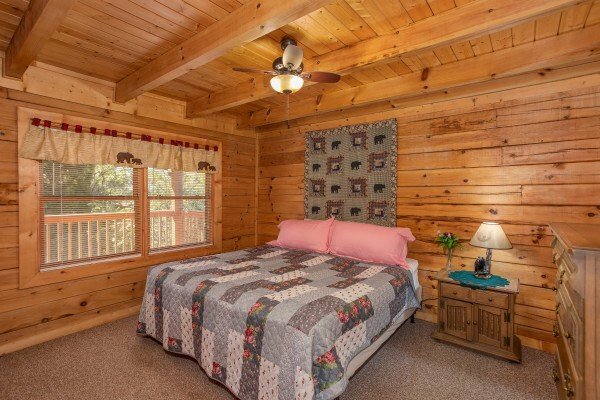 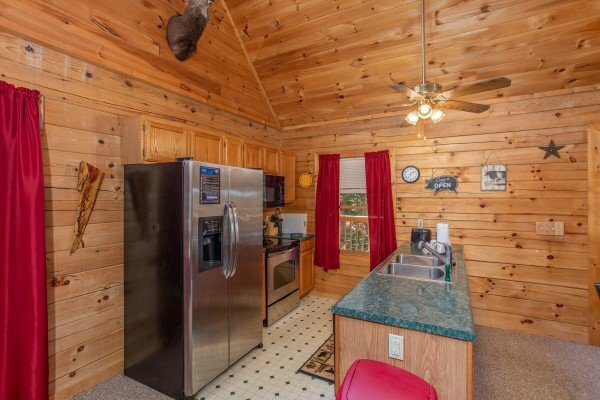 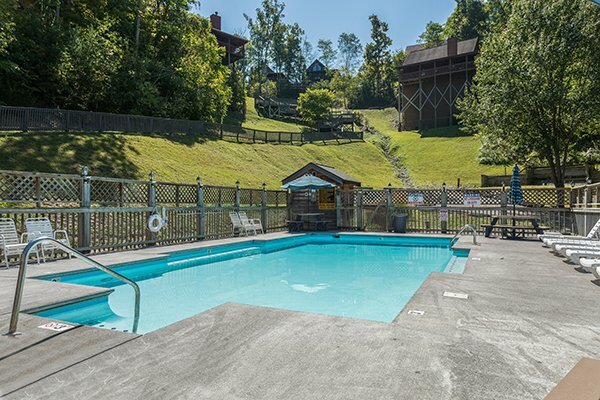 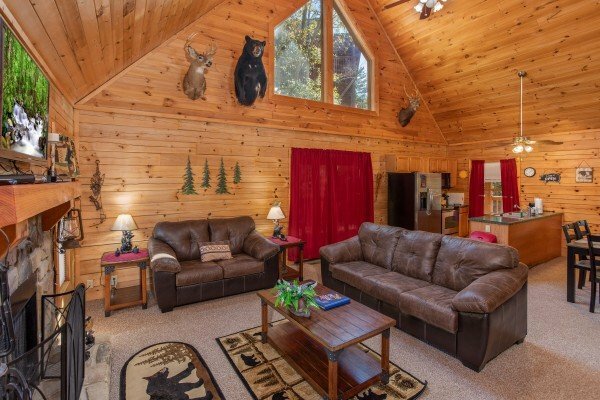 Located in the Douglas Lake Resort, this comfortable 2 bed 2 bath cabin has community access to scenic Douglas Lake, but is still just 15 miles to Dollywood in Pigeon Forge! 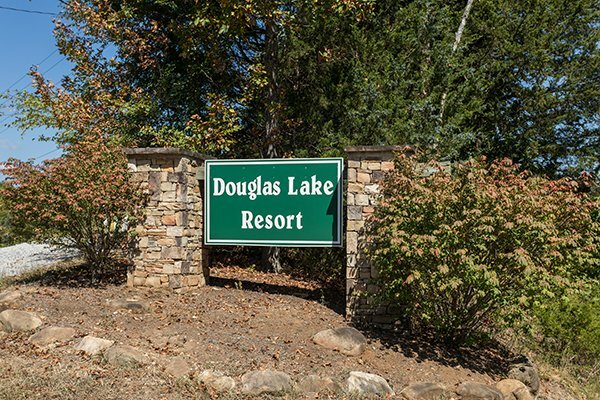 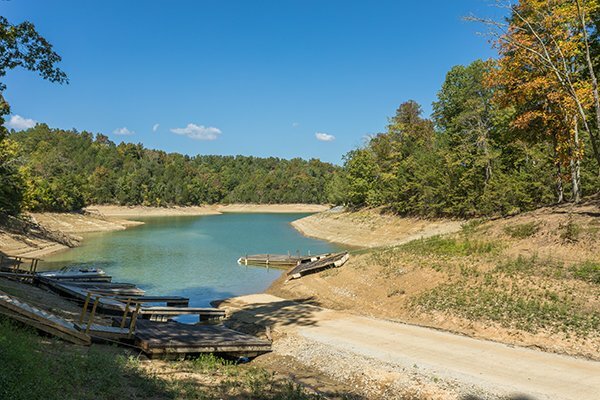 Fish, swim, ski or tube while you enjoy the mountain views from Douglas Lake. 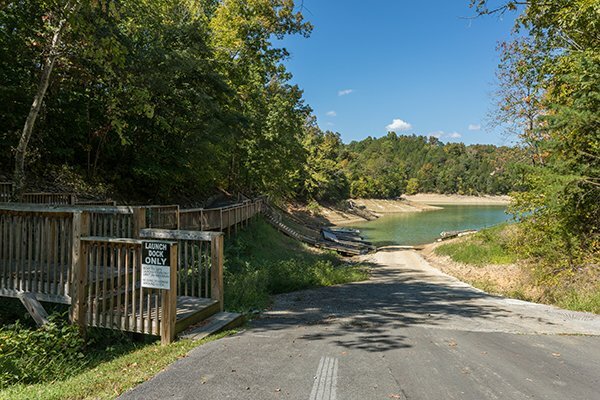 Boat rentals are available locally, or bring your own and park in the community's boat storage or floating dock. 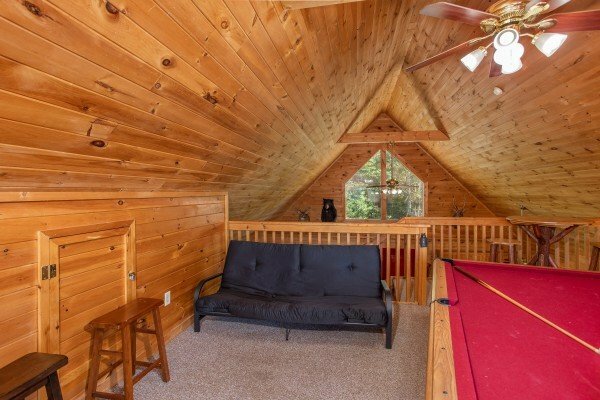 Inside, vaulted ceilings soar over an open concept living area with eat-in kitchen. 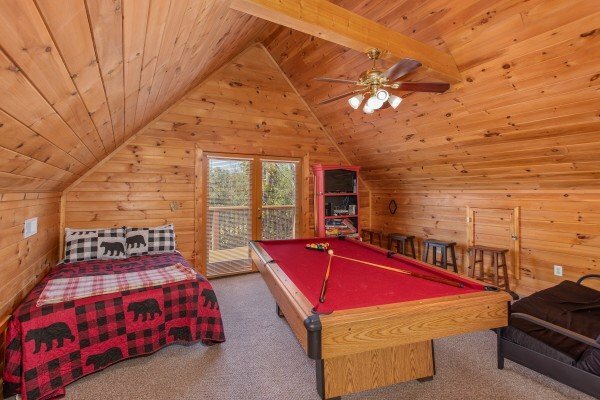 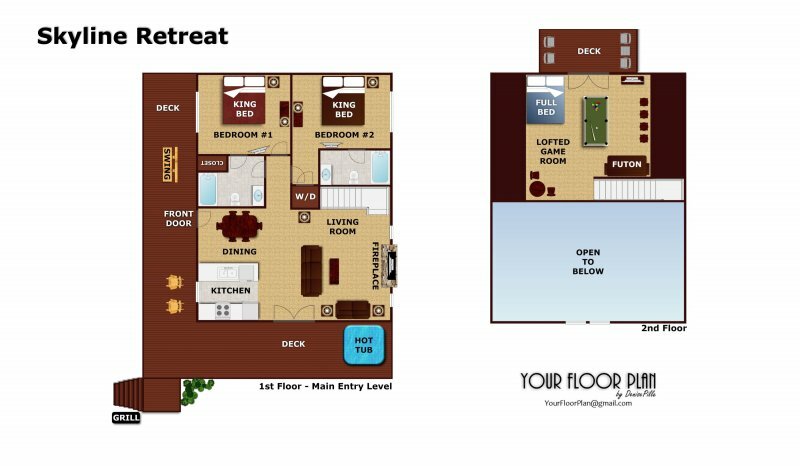 The lofted game room above includes a pool table and LED Tv for some in-room entertainment. 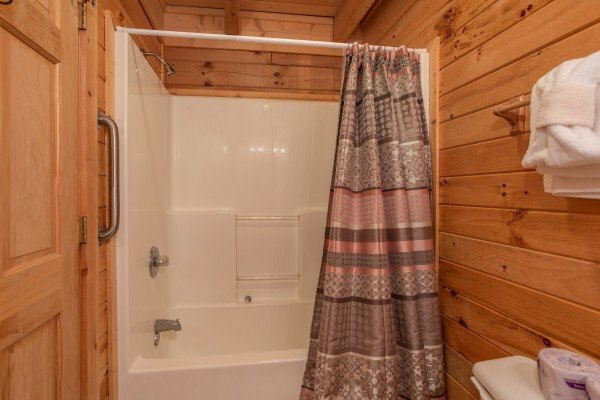 Two master bedrooms each have their own bathroom for privacy making this home perfect for couples of families too! 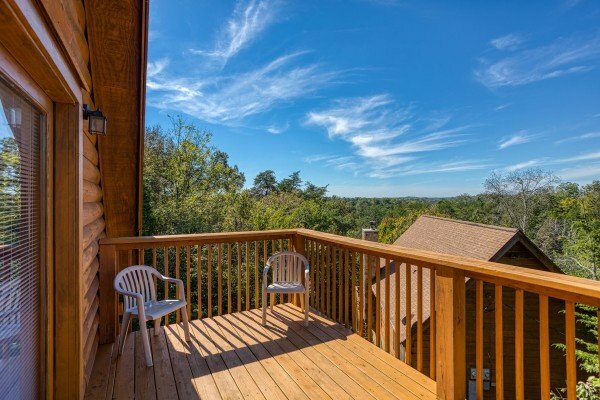 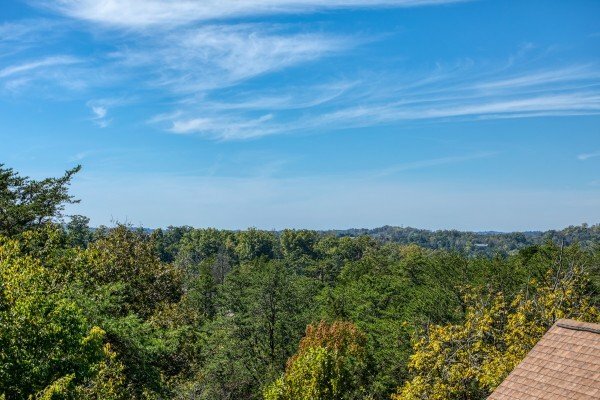 Call today and reserve your SKYLINE RETREAT!